Nowadays, there are a wide variety of rifles money can buy ranging from entry level designs to high-end models. While different situations would often require different weapons, many shooters have been searching around for a way to use a single firearm in multiple scenarios. John Dean “Jeff” Cooper, a lieutenant colonel in the U.S Marine, developed the concept of “scout rifle”: an all-purpose rifle that could be used for many shooting purposes. But as with other firearms in circulation, you could only able to get the most out of a quality scout rifle by pairing it with a solid piece of optic. Without the best scout scope, the scout rifle remains uncompleted. That being said, with numerous scopes available for purchase on the market, it’s not easy to find a quality model for your scout rifle. Shooting styles, as well as personal preferences, could even further complicate the entire selection process. Fortunately, in the case you are in need of a couple of recommendations and instructions, this article is for you. Down below, you would be introduced to some of the best scout scopes along with their features and expert assessments. A shopping guide is provided as well so you should have no trouble securing an appropriate model at the end. 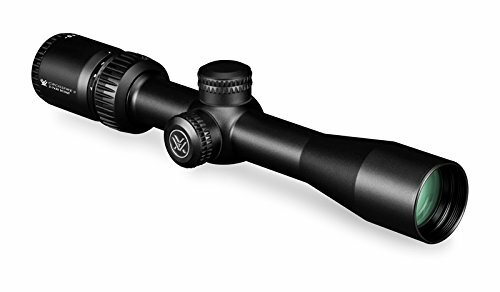 Versatile and flexible, Vortex Optics Crossfire II is known as the best scout scope in term of all-around performance. Using high-grade aluminum, the Vortex Optics scout scope is capable of handling a lot of abuse on the field. Furthermore, the use of O-ring and nitrogen purging gas means that the scope is waterproof as well as fogproof. 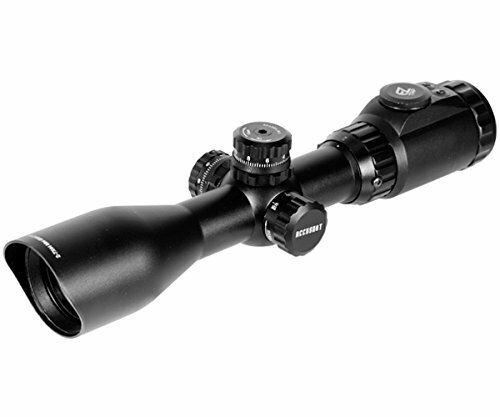 About the range, the 2 – 7x magnification power is pretty appropriate for a standard scout scope. Couple with the long eye relief and forgiving eye box, the scope is perfect for hunting, competitive shooting and alike. Featuring anti-reflective, fully multi-coated lenses, Vortex Optics Crossfire truly excels at gathering light in less than ideal situations. 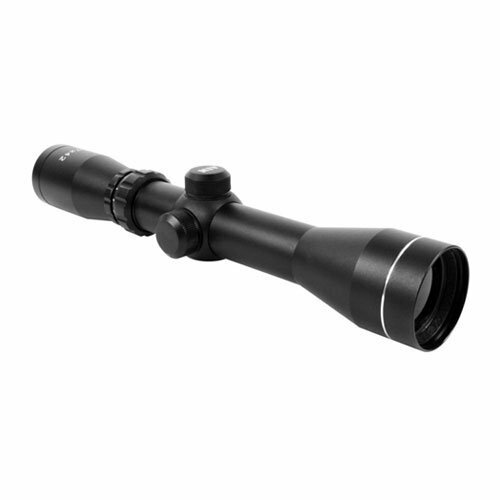 With the Vortex Optics scout scope around, you should be to acquire high contrast target images from dawn to dusk. For the reticle, the scope chose the robust and straightforward V-Plex pattern which is well liked by any shooter in need of something simple. Thanks to the precise finger adjustable capped turrets, you could apply changes to the elevation and windage setting at will. Often hunt in low light conditions? Then you must take a look at what Leapers UTG AccuShot got to offer. Possessing an illuminated mildot reticle, the Leapers optic is able to ensure a consistent level of accuracy all day long. With dual color mode and a total of 36 available settings, the reticle of the scope could be adjusted to meet the taste of individual shooter. Given the fact that it’s waterproof, shockproof and fogproof, the scope would have no trouble performing with distinction in harsh weathers and challenging environments. Thanks to the impressive eye relief of 11 inches, Leapers UTG AccuShot could be put to good use on multiple firearms. As the Leapers scope is compatible with standard Picatinny/Weaver rails, the installation would only take a couple of moment. In term of adjustment, the target style turrets of the scope should allow you to apply changes at moment notice. Each click is equal to 1/4 MOA so it’s simple to set up the scope elevation/windage as you desire. A handy side focus is also present which you could use to eliminate parallax distortion. Compact and lightweight, Burris Scout is highly sought after by both hunters and competitive shooters. Being a quality piece of optic, the Burris scout scope could deliver lightning-fast target acquisition with both eyes open. Due to the use of multicoated lenses, the scope is capable of offering bright and clear images throughout the day. Waterproofed and weatherproofed, the scope is completely immune to atmospheric humidity and sudden temperature changes. That means you don’t have to worry about foggy views while shooting with this scope in the great outdoors. Leupold is a well known optic manufacturer in and Leupold VX-R is among the best products from the brand. Made for owners of scout rifles, the Leupold is a nicely balanced combination between long eye relief and moderate magnification. 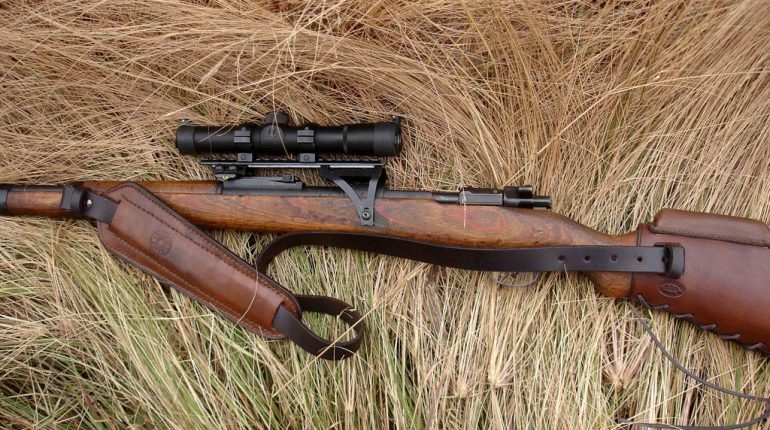 While the 1.5 – 5x power of the scope is not exceptional, it’s enough for most scenarios that involved scout rifles. Featuring top quality material, the scope operation remains unimpaired when exposed to rough working conditions. Aside from ordinary ballistic reticle, Leupold VX-R also has an illuminated red dot at the center of the crosshair. Because of that, shooters could quickly make snap shots while using the Leupold scout scope. With the scope, you should be able to land shots on targets consistently in the late night and early morning. The dot is powered by CR2032 lithium batteries which you could get from convenience stores. Since it’s produced as a scout scope, the scope is shockproof, waterproof and fogproof. Shopping with a rather limited budget? Then you need to check out Aim Sports Scout. Come with a highly affordable price tag, the Aim Sports optic is often thought of as the best scout scope around for budget-minded shooters. From .308 Winchester to 7.62×54mmR, the scope is compatible with an assortment of calibers utilized by scout rifles on the market. Thanks to the sizable objective lens, the scope is able to gather light effectively and efficiently in low light conditions. At a magnification power of 2 – 7x, Aim Sports Scout permit shooters to hit targets out to 350 yards with relative ease. Featuring long eye relief, the Aim Sports scope could be mounted in any way that suits your scout rifle setup. As a result, the scope offers shooters a lot of installation flexibility when it comes to building a customized rifle. 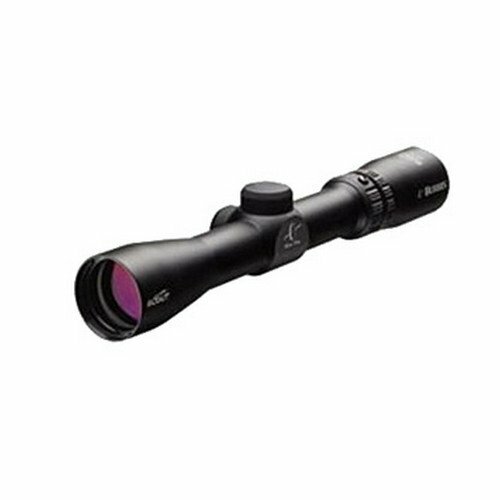 While the scope is a basic entry level product that lacks advanced features, its endurance and resistance remain top notch. As you may already know, there are 2 types of rifle scopes when it comes to magnification power: fixed and variable. Depending on the current demands, you could choose either, there is no need to limit yourself to a particular type. Many shooters like to use fixed scopes as it’s simple to maintain and operate such optics on the field. On the other hand, variable scopes are held in high regard by people that truly want to acquire high contrast target images at varying ranges. From time to time, you have to quickly send shots with your scout rifle so it’s essential to look over eye relief/eye box. 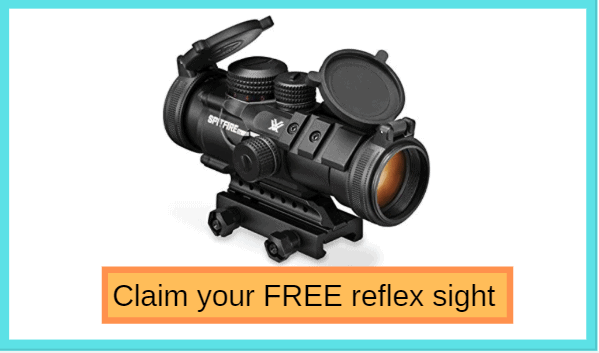 Scopes that have short eye relief or limited eye box would make it difficult for you to intuitively land rounds on targets in critical moments. Moreover, if you don’t pay enough attention, it’s highly likely that you would end up with a nasty scope eye after shooting sessions. That is why eye relief/eye box is among the most important criteria while shopping for the best scout scope. People often have to carry their scout rifles for an extended period of time so balance is an important factor. You don’t want to drag yourself forward with a top-heavy weapon that constantly digs into your side after every step so be careful. For most of the time, make sure that your scout scope weight around a pound or so in order to keep the rifle reasonably balanced. Prioritize products that have quick detach mounts if you intend to store the rifle scope separately while on the move. The natures of scout rifle mean that the scope it uses would be inevitably exposed to a lot of abuse. As a result, it’s of utmost importance that you grab something that could last. Due to recent advances in manufacturing technologies and materials, you should be able to find products that are both light and rugged with relative ease. Besides endurance, it’s also a good idea to check out the resistance since scout scopes would spend a lot of time in the outdoors. Keep an eye out for features such as O-rings and nitrogen/argon purging gases as they indicate that the scope is waterproof and fogproof. It goes without saying that the lens quality plays an important role in determining the value of standard rifle scope. Therefore, you should take a good look at the lenses of market scout scopes before deciding which model suit your needs and requirements the most. Most modern day lenses tend to be coated to improve light transmission rate, there are 3 notable styles of coating: fully coated, multicoated and fully multicoated. In addition to that, anti-glare as well as abrasion resistant coatings are also available. 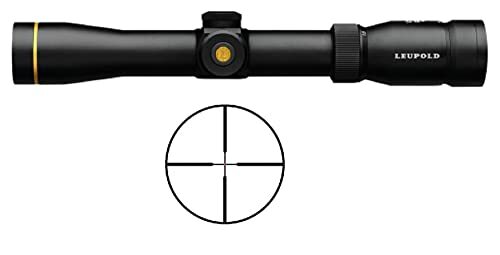 Nowadays, the majority of scout scopes in circulation are made to be compatible with ordinary mounting rails (Picatinny and Weaver). Hence, it should take a little bit of time and effort to set up a scope on your scout rifle. However, you probably need to consider getting a specialized precision mount if you really want to optimize your shooting accuracy. Another issue that requires your attention is that not all rifles could be outfitted with rails in the same manner. In fact, certain setups require extensive modifications which add additional expense to the mounting process. In most of the case, there is a link between the performances of a particular scope and its price tag. That means you could not get premium-grade features along with top-of-the-line conveniences from dirt cheap models. Nonetheless, you also don’t have to waste too much money to get a scope that suits your own tastes. A great way to make a cost-effective purchase is to assemble a list of desired capabilities and use it to narrow down the number of products you must check. Thanks to that, you would obtain a general idea about the cost you have to pay for a good scope. Is It Necessary To Outfit Rifles With Backup Iron Sights? 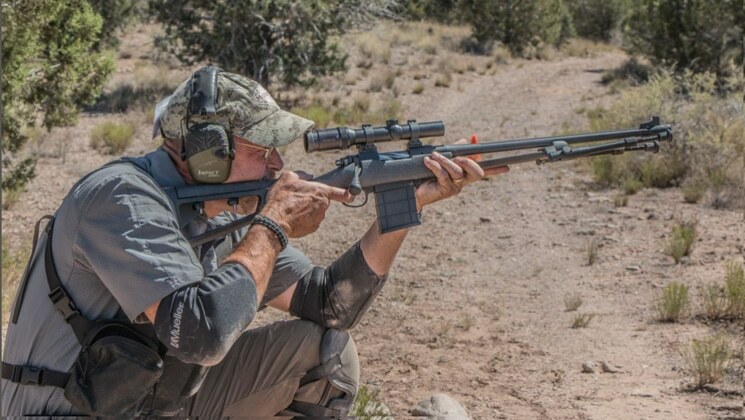 Base on Jeff Cooper concept, every scout rifle should have backup iron sights, especially if the rifles are designed for house defense and survival scenarios. “Why do I need backup iron sights?” you may ask. Well, for most of the time, the average rifle optics that come from well-known brands should work just fine. Nonetheless, in the case the scope is rendered unusable due to unforeseen incidents, a solid set of backup iron sights would come in really handy. As a result, you should outfit your own scout rifle with backup iron sights in addition to the primary scope.